Investigators said the killing occured when the four suspects and the unidentified victim were driving in the victim’s BMW sedan out of Moscow. Three Moscow police officers and an unemployed associate have been detained on suspicion of killing a Caucasus native by stabbing him at least 77 times with a knife and, posing as kidnappers, demanding a $195,000 ransom for his release, investigators said Wednesday. Even in a country where police crime is relatively common, the murder stood out as one of the most heinous in recent memory, and underscored the failure of last year's police reforms to root out notorious corruption in the ranks of law enforcement. The police officers and the victim, an unidentified 22-year-old Azeri national, were driving in the victim's BMW sedan out of Moscow on the night of Sept. 5 when a heated argument broke out, police said in a statement. The Azeri man was stabbed at least 77 times by police officers Dmitry Kolotovkin, Alexander Vlasenko and Artyom Skubak, the Investigative Committee said in a statement. A fourth suspect, the officers' unemployed friend, has also been detained, and a fifth accomplice has been put on a wanted list, investigators said. After killing the man, the suspects allegedly buried his body in a wooded area near the Moscow region village of Zagoryansky, where locals discovered it on Sept. 11. The suspects drove the victim's BMW back to Moscow with the intention of selling it, but the car was subsequently found in the courtyard of one of the police officers, police said. An unidentified police official told tabloid Life News that the policemen and the victim were members of a crime group that made money by stealing cars. Life News said the victim was killed over a money dispute. The suspects also sent several ransom demands to relatives of the slain man, promising to return him upon receipt of 150,000 euros ($195,000), according to investigators. The victim's relatives appealed to the police for help after receiving the ransom demands. Investigators said the suspects face charges of abduction, extortion and murder, which carry a maximum sentence of 15 years in prison. Acting quickly as the news about the horrific killing broke Wednesday, Moscow police chief Anatoly Yakunin fired the top police officials in the capital's northwestern Khoroshyovo-Mnevniki district, where the suspects worked, police said in a statement. Yakunin also asked Interior Ministry leadership to discipline the head of the northwest administrative district police. It was not immediately clear whether the fired police officials had attempted to cover up the crime or were being punished for the suspected actions of their subordinates. Hate crimes experts voiced doubt that the killing of the Azeri man would inflame racial tensions, saying it was an ordinary crime, not one motivated by racism. The three detained policemen were fired after being arrested. The officers who uncovered the killing will be rewarded, a police spokesman told Interfax. All the other police officers in the Khoroshyovo-Mnevniki district where the suspected murderers worked will be examined for their professional suitability, police said. As part of much-touted police reforms pushed by former President Dmitry Medvedev and begun last year, all cops went through a re-evaluation process aimed at weeding out corrupt elements. In May of last year, 119 of Russia's 335 most powerful police chiefs were fired after failing the review. Other reform measures included reducing the number of police personnel by 20 percent, increasing police salaries and benefits, and renaming “militsia” to police. All the measures were aimed at fighting corruption within the police and boosting crime-solving rates. In a speech to the State Duma on Oct. 17, Interior Minister Vladimir Kolokoltsev said the number of bribes taken by Russian police officers has fallen by 26 percent this year, attributing the trend to the fact that police chiefs are now being held responsible for violations of their subordinates. But daily reports about cops abusing their authority has led many to believe the fight against police corruption has failed so far. Among other crimes, car theft has been a problem in police ranks in recent years — including in the very district where the suspected killers of the BMW owner worked. 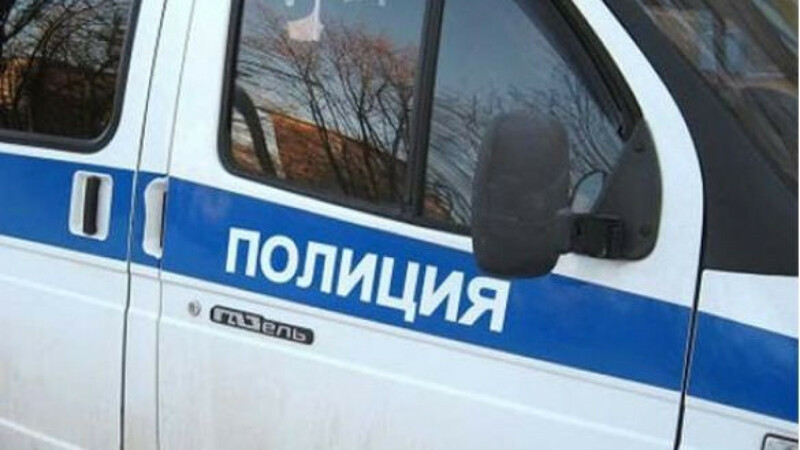 In March, Moscow traffic police detained a drunk policeman from the Khoroshyovo-Mnevniki district at the wheel of a car that police suspected to be stolen, Interfax reported at the time. The officer, who wasn't identified, was fired. An aide to the district police head responsible for personnel recruitment and the deputy head of the district police were reprimanded. In July 2011, the Interior Ministry's Internal Security Directorate announced that it had detected 30 crime groups that made money stealing cars, Noviye Izvestia reported at the time. The police agency said 160 cops, including seven police chiefs, were members in 12 of those groups.